Back to school is right around the corner! This summer holiday’s has been a really strange one for us, I’ve still been working full time so it doesn’t feel like we’ve done half as much as we normally would of. 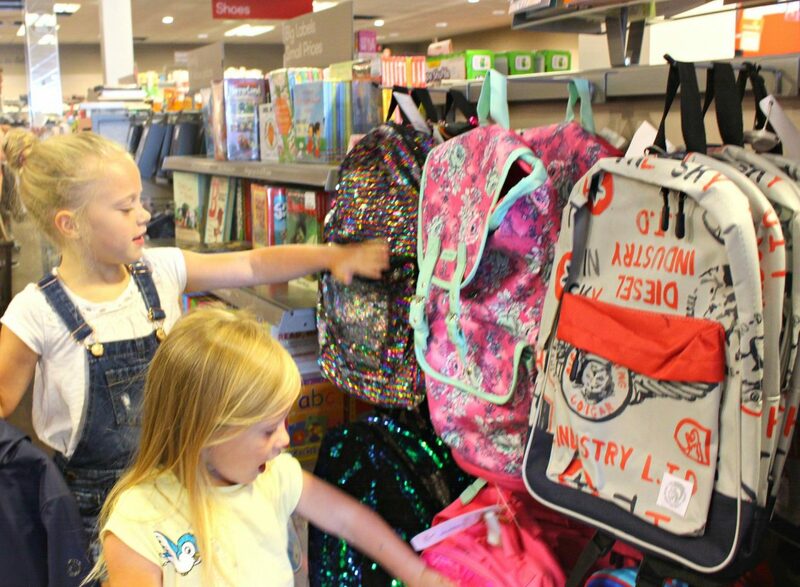 When Ocean Retail Park in Portsmouth invited us down to take part in a back to school campaign I thought it combines something we need to do (school shopping) and a bit of a road trip for the girls and I. Ocean Retail Park is an outdoor shopping centre located by the water front in Portsmouth. They have loads of parking on location making it easily accessible. I loved the range of stores it has and that it was nice and quiet even during the holidays we could park easily and take our time looking around the shops! 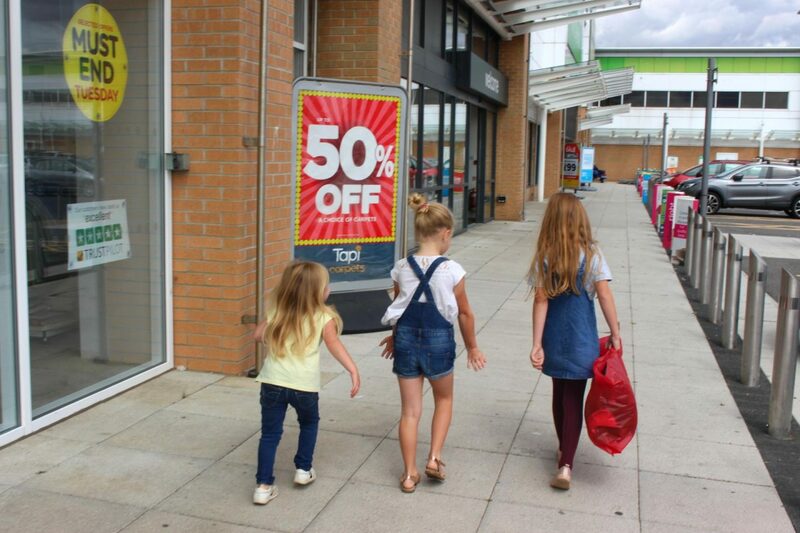 I am very lucky in that my girls do follow in my footsteps when it comes to shopping – they love it! A little too much maybe.. our first stop was TK Maxx. You never know what you are going to find when you go into TK Maxx and that is what I love about it, so many hidden gems waiting to be found. The girls couldn’t resist the glittery back packs and lunch boxes! 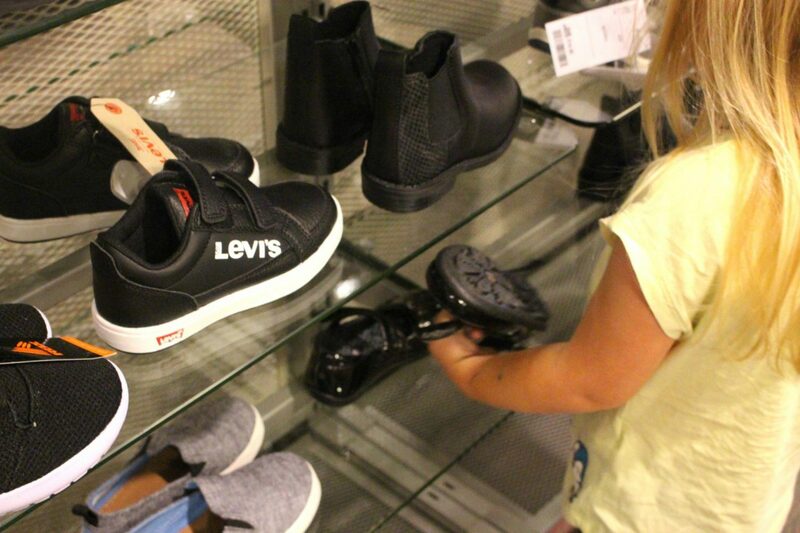 Lottie was on the hunt for her first pair of school shoes, the range of brands and designs was great and the prices amazing. We all know school shoes are the priciest thing when it comes to back to school so I was really pleasantly surprised. 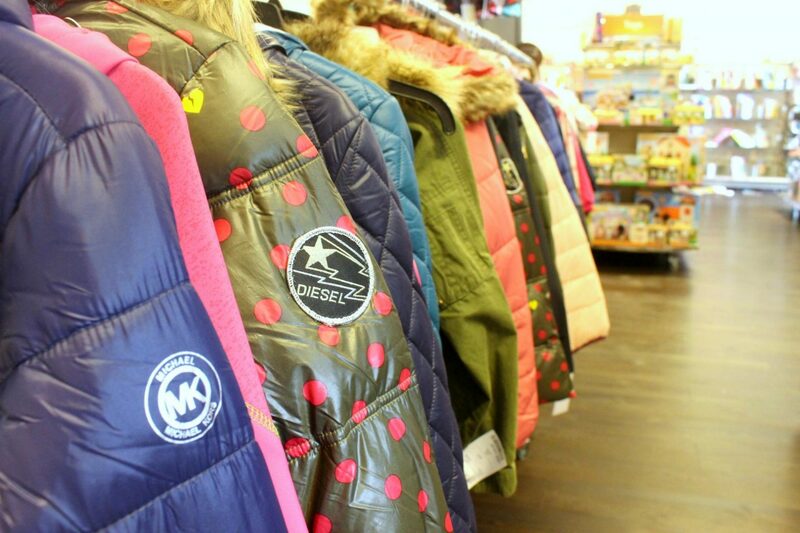 It felt really odd coat shopping while its so hot out but we know it’s now only a matter of time until autumn starts setting in so I got in early and found some gorgeous Michael Kors coats for the girls. I am not usually huge on designer brands for the kids but these were super cute and great value for money so I couldn’t resist. After buying what felt like half of TK Maxx we headed over to Curry’s PC world; with the new school term comes lots of new projects and homework so I wanted to make sure we are fully stocked on printer ink and paper supplies. I did a click and collect order for M&S online in advance so all I needed to do was pop in and pick up our bits. Year after year M&S is hands down the best place for uniform, dresses and t-shirts I bought over a year ago are still washing up nicely so all I needed was a few extras and some smaller sizes ready for Lottie starting school. Maisy is off to Junior school in September and everyone had been raving to me about the non-iron school shirts M&S do so I had to pick some of them up – who wants to iron?? Not me that’s for sure. 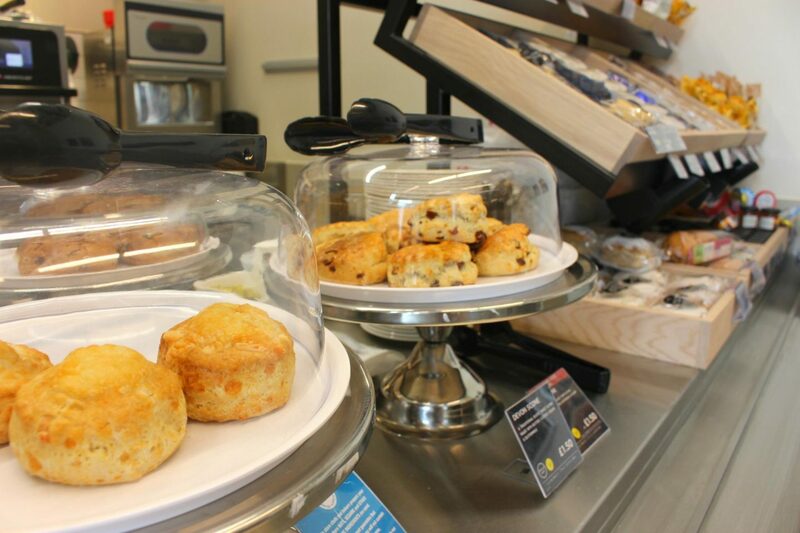 M&S also have a little cafe so we stopped off for a scone and a cuppa, shopping is hungry work. Ocean Retail Park also have a costa, mcdonalds and subway so lots of food options. And that is us now pretty much sorted for back to school, less than 2 weeks to go and normality shall resume! Are you ready for back to school yet?